Success Dogs – What's Your Gameplan? TRAIN YOUR DOG TO FIGURE-8 IN LESS THAN 15 MINUTES! A simple, yet, highly effective method to train dogs who are food motivated behaviors such as sit, down, stand, roll over, weave between your legs, etc. 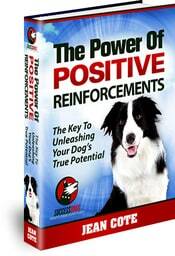 Want to turn an existing behavior such as yawning, sneezing or barking into a cute trick or cued behavior? Discover the secrets of the pro's and how they strategically get their dog to do amazing behaviors such as playing chess, putting their toys away, etc. Want To Become An Even Better Pet Parent And Trainer? Want to read more testimonials from our students? Click here. Click the button above to claim your free digital copy.